Winderemere Farms is a specialized equine facility owned and operated by Tanya Ehrhardt-Barina. 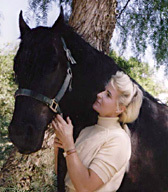 She established Windermere Farms in 1998 as a unique horse operation that offers premium import and quarantine services. In 1992, Tanya Ehrhardt-Barina moved from Germany to Southern California where she worked in her profession as a Foreign Trade Economist. In 1998 she moved to Loveland, Colorado where Windermere Farms was founded.In 2001 Windermere Farms moved to San Diego County in California. At Windermere Farms, Tanya Ehrhardt-Barina combines her skills as an international Trade Economist with her lifelong passion for horses. She provides individualized attention to find, import, quarantine and train that unique horse to match the specific needs of a client. Along with Tanya , her small staff of devoted help ensures the well being and daily care of our horses. The key to our training success is in coaxing the voluntary cooperation of the horse. This cooperation is based on the mental motivation of a physically fully comfortable horse. At Windermere Farms, we strongly believe in gentle, non-confrontational training methods, using Tanya Ehrhardt’s German background in classical dressage as the basis for training. Individualized training is extremely important. There is no one training method for reaching a certain training goal. Each horse is different and requires a different approach. Getting to know the horse and developing an individual training program geared towards a horses specific personality and physical ability is the key. We also respect the physical limitations that an individual horse might have regarding his ability to perform certain movements because of his conformation, age, etc. Dressage goals are not achieved by rigorous, lengthy workouts in the arena. Our horses daily schedule alternates between arena work, trail rides, free forward moving trots and long stretched gallops out in the country, lunge work and playtime during the trick training. All horses at Windermere Farms are initially trained in a double-jointed French eggbutt bit with Myler mechanics to guarantee tongue freedom. Even upper level movements like Piaffe and Passage are initially taught without the use of a double bridle. Our goal is to create a light, responsive and relaxed partner in the horse, who is willing to cooperate voluntarily. Windermere Farms welcomes alternative training approaches within reason. 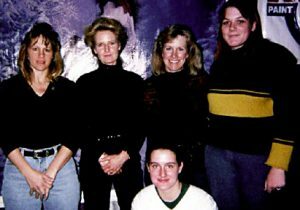 Elements of Linda Tellington Jones, Monty Roberts and also John Lyons find their place upon the training of many horses on our farm, at one time or another. All foals are imprinted at birth and handled daily. Regular Cranio Sacral treatments help to ensure the physical comfort and mental balance of our equine partners. All horses at Windermere Farms are treated equally, regardless of their value, age, breed etc. Providing the very best horse care possible, is our every day standard!